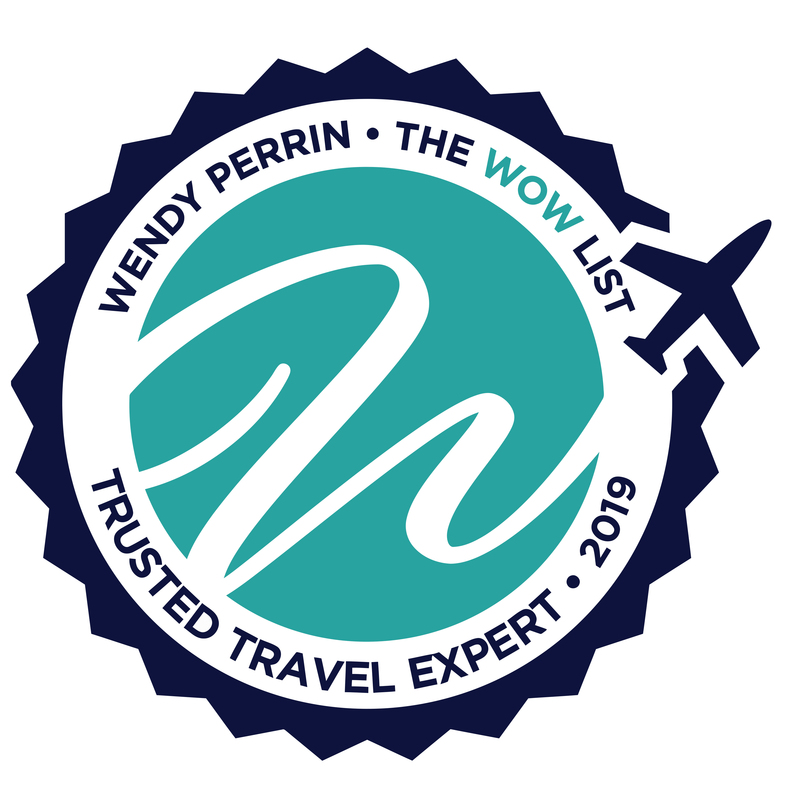 David Lee is on Wendy’s WOW List of Trusted Travel Experts for his expertise and connections in Cuba. The reviews below are from real travelers who’ve taken trips that were arranged by David and monitored by Wendy. Don’t miss David’s Insider’s Guide to Cuba. Just got back from Cuba. It was even better than expected. Accommodations were lovely and as portrayed, Alain was an incredible tour guide, the food was superb and the experiences/tours were all wonderful. Thank you David for helping us plan a Cuban vacation that was fabulous! David’s team was very organized. All our questions were answered promptly and thoroughly and we received all of our documents in a timely basis. Fortunately we had no challenges. When we wanted to tweak one of our planned activities the tour guide was gracious and helpful. The car ride and photo shoot in a vintage auto was much more fun than I thought it was going to be. The restaurants that were selected for us were very good. Our guide and driver became our “Cuban Family”. We had an excellent experience. We dined with a past cultural attache to America and had a tour of the Art Museum with a professor at Havana University. My family had a short window of 5 days over New Year’s to take a family vacation. We would be leaving from Miami where we had one of our child’s sporting events. Cuba had been on my mind for a while and geographically it made sense. I had concerns about safety and the US embargo. Within 5 minutes of speaking with David Lee I knew that this trip was perfect. He and his team are intimately knowledgeable about both the requirements necessary to travel there and what to do upon arrival. They developed a customized itinerary with us that was engaging for my entire family. We had a driver and tour guide the entire time. Leon our guide has never been off of Cuba and shared insights from the Cuban perspective on how they view both Cuba and America and navigated Cuba expertly. The Cuban people are friendly and Cuba is one of the safer places we have traveled. I highly recommend working with David vs doing it yourself. We dined with a past cultural attache to America and had a tour of the Art Museum with a professor at Havana University. Great trip! From the time we landed until our departure every moment was a wow moment. We felt very safe in Cuba. David Lee put together an itinerary that was fun, informative, and relevant. Our tour guide Aniel was so fabulous and loved by my entire family. Our driver John was also great. We met with several important Cubans who each gave us insight into Cuba’s history, present issues, and their hope for the future. David’s access in Cuba is amazing which enabled us to have such a fascinating trip. The wow moment he planned was exceptional. Two famous photographers Ramses Batista and Alex Castro talked about their work as well as took us on a walk through their neighborhood giving tips on how to shoot photos that tell a story. We also met other famous Cuban artists on another day. Aniel told us the first day that Cuba is a country to be understood not just seen. Well put Aniel and well done David Lee!!! Cuba with David Lee is not to be missed. The staff outdid themselves and bent over to guarantee a most eventful and exhilarating experience. I did a lot a research on Cuba travel specialist before selecting David Lee through Wendy Perrin. I never thought that in my lifetime I would have the opportunity to travel to Cuba and with the relatively new opportunity to do so, I wanted to be very careful in my choice. This was a trip that I wanted planned vs just winging it on my own. I felt I had made a wise choice before we left for our trip and it was absolutely confirmed after. Every day was planned to encompass a variety of Cuba cultural, food and entertainment. We would not have seen or done half of what we did if we had “winged” it. We would have missed so much. A side benefit was how close we became to our guide and driver who were married. We became family. Since we were on a private tour with just my daughter and myself, the four of us got to know each very well. We truly got to experience the Cuba culture with intimate conversations and experiences. I know this could not have been experienced if we had been with a large or larger group. With David Lees’ tours, they are a maximum of 14. This allows you to have access to the paladares which are private, smaller restaurants. With large groups, you would be eating at government run restaurants. David took the time to call me on two occasions prior to booking. I was able to ask as many questions as I had and he was a wealth of information to set my mind at ease to book with his company. David Lees’ Cuba tour was the best decision I made for our trip. Outstanding communication, follow-up, accommodations, guides, tour experiences and restaurant choices. If you are thinking about a trip to Cuba, you will be in good hands with David and his team. David responded to all inquiries in a very timely matter, left no question unanswered, and changed plans to suit our needs. He checked often to see if there was anything he could do for us. He provided one of the very best guides we have ever had for our time on the ground. He was extremely knowledgeable on every topic, fun to be with, never late, and made sure our wishes were met and that we were enjoying every minute. David Lee took information from us and then planned a trip based on our personal interests. He booked us in the best hotel in Havana and set us up with a terrific guide and driver. We were only 4 people on a private tour so we were able to alter the itinerary at our whim, and our private guide helped us do exactly what we wanted to do. Our guide Lianette helped us find venues for things that we wanted to do after “tour hours” as well. For example, if we said we wanted to listen to an authentic Cuban band after dinner, she found the venue and walked us to the door. We asked for a red Cadillac convertible to drive us through Havana and she got us a red Cadillac convertible and even followed us and took a video of us riding in the car. Excellent tour. Following the re-establishment of diplomatic relations with Cuba, I contacted Wendy Perrin’s recommended Cuba travel specialist, David Lee. Desiring a person-to-person connection, I requested David provide visits to museums, galleries, art schools and studios (and other sites I had selected) wherein I’d meet, engage and discuss with artists and curators, teachers and program directors…their passions, careers and creating and /or providing stewardship for the Cuban visual arts. From the beginning, David, and his assistant, Liza, engaged my curiosity, replied to all inquiries in a timely manner, took initiative (suggesting additional sites or places of aesthetic and historical interest) and were accommodating and flexible in their planning as they set about attaining realistic goals and expectations while keeping me apprised as the entire process of designing a solo (individual) tour of Havana and Trinidad. I found David and Liza professional, friendly, honest and willing to go more than the extra mile to insure my comfort and safety while making sure that my interests were met while preparing a detailed, creative and wholly individualized itinerary. The private guides selected were English fluent, proud citizens of their respective communities and, of course, Cuba, willing to share and show their customs, traditions, and all aspects of Cuban arts, architecture, handicrafts and cultures, cuisine, and socialist history and contemporary politics. All were personable and professional, and maintained high standards for safety while traveling. The drivers who were hired to chauffeur me about various inner city and countryside regions also maintained superior safety standards. Hotels and restaurants selected maintained the highest levels of cleanliness and safety. Staffs were friendly, professional and eager for me to gain the most out of my stay in their community. Breakfasts were outstanding in selection and taste as were the afternoon and evening meals. As an experienced solo traveler, I offer an emphatic endorsement for David Lee and will truly look forward to asking David to assist in planning another transformative travel experience to Cuba. We were cared for morning to night. Our family of 5 (3 children in their 20s with us) had a remarkable time in Cuba almost all the time thanks to the planning of David Lee and his team, including our wonderful guide. We were cared for morning to night. During the planning stage we had a good deal of back and forth about the types of things we would like to see, and the itinerary generally reflected that. We never felt rushed or given a pro forma drive by of some place. Each stop was well chosen and the guide gave plenty of info. We liked the various “off the beaten path” stops, such as with Havana Compas dance troupe. We appreciated being able to get into the Cuban Art Factory by skipping the very, very long New Years Eve line. The hour spent with Cuban architect and planner Miguel Cuyola was fantastic, I wish we could have toured with him. We spent most of our 4 1/2 days in Havana, but the side trips to Las Terrazas and the Hemingway Finca were worth it. In terms of things to improve, we might have made benefited from more of a briefing that would have enabled us to understand the night life culture — budgeting time after dinner for some of the famed Cuban music venues. We were in Cuba December 28, 2016 to January 2, 2017, with a night in Miami at either end. We are a family group of 10 spanning 3 generations. David Lee organized our trip to Havana, Cuba 12/24-12/28. (He also took care of the pre-trip hotel in Miami, securing a terrific place at the best possible rate.) Cuba is not the kind of place you just drop in, check out and easily navigate on your own. David paired us with a terrific guide, who answered our questions honestly, listened to our input and gave us an active glimpse into Cuban life. Yes, we bought cigars and tasted rum, things you’d associate right away with a Cuban trip. We also went to artists studios, music clubs, a dance company and street scenes that are off the beaten tourist path. We heard a lecture from a fascinating man who gave us a deeper understanding of what we were seeing and why the architecture, economy and culture are what they are. We ate traditional cuban food, as well as, trying more gourmet venues. No matter what paladar we dined at, we always had the best table, best view, best service. David knows Cuba. He also knows how to give you a travel experience you’ll never forget. A well-planned trip. David paid close attention to our areas of interest. Finest hotel. Wonderful young woman guide: flexible, fun, knowledgeable. David keeps closely connected to all that is happening and changing daily in Cuba. An expensive trip but worth it, knowing that every need is covered. Thank you David for the most amazing Cuban experience! Our guide was the best! She was so honest, informative and fun. I have never traveled with a group before and it was very enjoyable. Our small group of 12 became fast friends. We enjoyed exploring Old Havana, seeing beautiful architecture, tasting amazing rum, the cigar factory tour, salsa lesson and the delicious paladares. But the best parts of our Cuban trip were the off the beaten track and non tourist places we would have never seen if it wasn’t for David’s extensive inside knowledge of the city he loves! Talking with a former diplomat and political science professor, lively nightclubs and artists studios and visiting Las Terrazas -an amazing biosphere reserve outside Havana. Each day was better than the next and we had nothing to worry about as every detail was planed for us! We even had free time everyday to explore on our own if we wanted or take a dip in the wonderful rooftop pool. Thank you David for an experience of a lifetime! Extraordinary knowledge, experience and service of David Lee and his staff have made the trip outstanding and fascinating. Hurry before Cuba opens for Americans soon! Every detail was anticipated, every challenge was met with humor and resourcefulness. It was a once-in-a-lifetime adventure into the heart of Cuba’s incomparable culture of music, dance, art and food. David and his staff did a wonderful job in all phases of this trip and we were the fortunate beneficiaries. In early October, Hurricane Matthew was headed towards Miami. All flights including ours to Cuba were canceled and the airport was shutting down. Miraculously we found seats on an Air Antigua flight to Havana. David Lee was very surprised to see us and two other intrepid travelers who had made plans with him. Even though he had already canceled all activities (assuming there was no way we could get to Cuba), he quickly contacted his guides, the hotels and restaurants to make sure the rest our vacation would unfold seamlessly. We had a great time in Cuba and have already recommended David Lee to several friends. As a bonus, David also arranged for us to be upgraded at the Hotel Betsy in South Beach where we went after Cuba. I feel I really experienced Havana. The itinerary covered off all of Havanas highlights, was well-paced, and flexible in its ability to have us experience the latest and greatest (we went to a trend-setting multi-media art installation where the locals go, which was outstanding). The dining far exceeding expectations and our guide, was extraordinary. Although we were there just a short time, I feel I really experienced Havana and have a much better appreciation for the art, history and Cuban experience. Loved it! We are so pleased to share our positive experience with David Lee and Cultural Cuba. He planned an outstanding and rich itinerary while meeting all of our needs. He was responsive to our requests and the guides he contracted were top notch and delightful to be with. This was a special trip for us because of Carols Cuban roots. This exceeded all of our desires and we would tell anyone if they are planning a trip to Cuba to be in contact with David Lee and Cultural Cuba. David is the man, and he is definitely the man to plan your trip to Cuba. After an introduction to David/Cultural Cuba from Wendy (who is the BEST, BTW. Who else would remember I emailed her about a Cuba resource several months later and send me a personal follow-up email? The best. ), my husband and I traveled with David on a group trip in October, 2015. We first reached out to him in late Summer with pretty short notice for a couples trip, which he was willing to make happen, but ultimately decided to go with him on a group trip he invited us on to help us make it happen (for cost). David was great with the group, making sure everyone got what they wanted which isn’t an easy thing to do. The trip was a quick 5 day trip and a completely effortless vacation. I barely had to lift a finger to plan but was able to get everything I wanted, and things I didn’t know I wanted, out of the trip. We came home feeling very excited about Cuba and rejuvenated as if we’d been on a longer vacation. Prefect balance of downtime and doing. I can’t even think of anything else I’d had wanted to do had we had more time… If you’re looking to go to Cuba, go now! And, definitely go with David. Best decision we made in 2015. David Lee of Cultural Cuba. David’s immense knowledge of Cuba from a historical as well as a cultural perspective provided us with a unique experience. His many contacts allowed us to enjoy meals in private paladors to visiting Mureleando Community Project to being regaled by a former ambassador made this trip awesome. David’s choice of our guide, was exceptional as was our driver. Thanks, David, for providing many happy memories of a fascinating city; I am ready to return. First, Cuba is worth seeing and sooner rather than later. 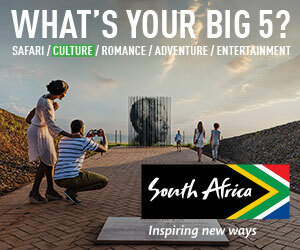 The art, music and dance scenes as well as the food and hotels all exceeded our expectations – by far. How you see Cuba is just as important and David Lee provided an almost unbelievably well orchestrated experience. Everything was beautifully taken care of -which we would have expected, but David’s own immersion in the country allowed flexibility and provided very special visits to venues and presentations unmatched by tours taken by other friends with other groups. So glad we went with David and cannot imagine visiting Cuba with anyone else. David Lee cannot be topped. David Lee cannot be topped. On January 20th, our small group of ten few to Havana from Miami. We all had our expectations of what to expect, but our expectations were overwhelmed by the service, knowledge, and winning way of our leader. David Lee was so well prepared and so “cool” with all our plans. Even a rainy day could not stop his enthusiasm as we sailed into a revised itinerary – seeing only the most interesting indoor sight Cuba had to offer. Every detail of the trip was thought out. David was always one step ahead of the group. The restaurants he picked were top notch – always different and always so good. The Cuban arts and dance that he picked for us to see were wonderful. Cuba is such a colorful country and I got a glimpse of it all. As a widow going on my first group trip alone, I could not have picked a better and more qualified leader. David Lee provided an amazing journey in this fascinating Country. The guide was perhaps the finest guide that I have had anywhere in the world. David’s contacts are incredible from a private dance/music recital to a two hour lecture by a former Ambassador to a presentation by two new entrepreneurs who told of their five year quest for permission to open their business. I cannot imagine booking a Cuba trip with any other Company. Will go beyond your expectations. My trip to Cuba with David Lee was an amazing experience. Not only does he have such a vast knowledge of Cuba, he loves what he does and is very personable. Although he knows the country well and has many contacts throughout, he continues to research new areas of interest. His choice of guides and drivers are exceptional. A trip with Cultural Cuba will go beyond your expectations. First class vacation in a 3rd world country. If are looking for a custom, private experience to Cuba with special access to sites, art galleries and restaurants, Cultural Cuba is the company for you. Their ability to create flexible itineraries while meeting the needs of US regulations set them apart from the rest when we were deciding who to book. The tour guide arranged things that interested us as opposed to being on a large group tour. From culture to history to night life, Cultural Cuba succeeded in providing my husband and I a first class vacation in a 3rd world country. Best trip ever. Five Stars! David Lee has such vast knowledge of Cuba plus his effortless attention to every detail provides an absolutely fascinating experience that keeps one in awe for the entire trip. In addition you feel totally safe with David and for sure he will “arrange” a few surprises that will have everyone saying “Are you kidding me”. Thank you for giving my daughter and me an incredible memory, we both agree it was the best trip ever. Five Stars! A trip to Cuba is a true cultural experience and we were very interested to go now, before it becomes commercialized. As part of a small, private group lead by our knowledgeable and personable host, David Lee, we saw the authentic Cuba. David knows the country well and the private Cuban guide and driver that were with us for the entire trip were outstanding. We enjoyed seeing the key points of interest but the cultural, philanthropic and unique inclusions really made the trip special and memorable. Cuba is continually changing and David’s greatest strength is that rather than just offering a cookie cutter trip, he is continually researching and evaluating new restaurants, shops, music venues, etc. that would be important to see. We would be most happy to recommend David Lee. David loves what he does and it comes through. We have traveled extensively through the world and the experience of seeing Cuba was truly unique and memorable. As we said above, the fact that David is continually challenging himself to find the new and unique makes him a true professional. Our trip was a real pleasure and an amazing experience. Thank you Wendy for making us aware of David Lee.